A rapid response from firefighters, some of them called back to SLO on their way to fight the Tea Fire in Santa Barbara, prevented any homes or buildings from being damaged in a wind-fueled wildfire Nov. 14 that whipped through the hillside in the neighborhood above Johnson Avenue near the old General Hospital. The fire reached into back yards and some streets were evacuated, but no injuries were reported. A failed PG&E power line connector is considered the cause, and the utility may have to pay the costs of fighting the 60-acre fire. 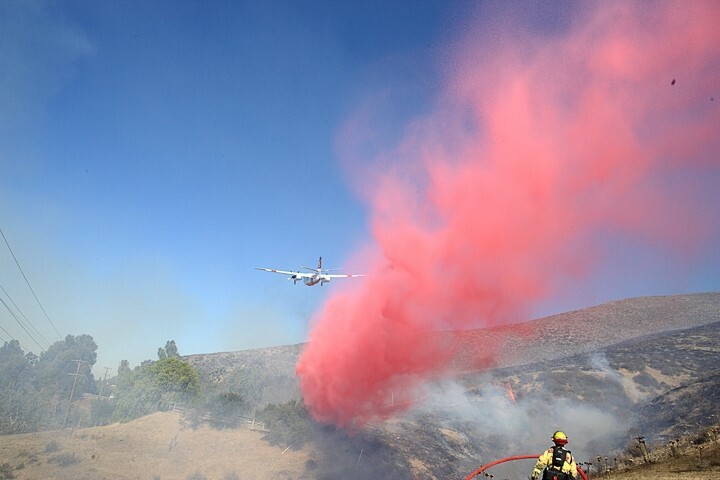 See all the pictures from the fire here "Fire at the Edge of SLO"